When it comes about clothes shopping and looking for the latest fashion trends, going shopping may even become a social event when you go to big shopping centers with your friends. Being in front of the clothes allows you to personally check the quality of the materials, better recognise the colours and whether the piece fits you well or not. For example, you can buy footwear online and not realize it hurts you until you get it home, unlike in the shoe store. Moreover, you can take it home straightaway instead of waiting for it. In the best shopping malls in Sydney you will find different shops for every product, outlet stores and other entertaining activities and restaurants. However, some days it can be too crowded and it would be a better idea to go to other little stores. If you want to know where are is the nearest shopping center to your location, the best shopping squeres and what mall center are open today in Sydney, Infoisinfo is your website. 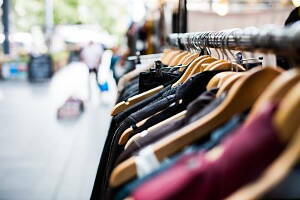 Infoisinfo wants to make you able to find the best shopping deals and quality products all over Sydney. It doesn’t matter what your needs are, you will find the best shops in Sydney to do shopping thanks to our list. From large malls to little gift stores or supermarket, for example. We’ve written down contact details like websites and phone numbers as well as the location of stores and opening hours. You can also have a look at the comments and reviews from other shoppers, what can be very helpful to get a first impression before heading to the store. 802 Pacific Hwy , Suite 1A Level 2, Barangaroo. Sydney. NSW, 2072. 241 O'Riordan Street, Sydney. Sydney. NSW, 2020. Dymocks Building, Suite 9, Level 5, 428 George St, Sydney. Sydney. NSW, 2000. Chadstone Centre, Shop 124B, 1341 Dandenong Rd, Moore Park. Sydney. NSW, 2021. The Strand Arcade, 412-414 George St, Sydney. Sydney. NSW, 2000. 83-85 Chandos Street, St Leonards, NSW, 2065, Australia, Sydney. Sydney. NSW. 368 Banna Ave. Sydney. NSW, 2680. 20 Cormack Avenue, Dapto, NSW, 2530, Australia, Sydney. Sydney. NSW, 2530. Building C, L1 Suite D, 13 Joynton Ave, Alexandria. Sydney. NSW, 2015. No. 3 1037-1047 Bourke Street, Waterloo. Sydney. NSW, 2017. Level 5, 428 George Street, Sydney. Sydney. NSW, 2000. Homemakers Centre, Shop 11, 6 Victoria Ave, Pyrmont. Sydney. NSW, 2009. Suite 1, 645 Harris St, Ultimo. Sydney. NSW, 2007. Unit 2, 551 Crown St, Surry Hills. Sydney. NSW, 2010. 713 Elizabeth St, Waterloo. Sydney. NSW, 2017. Level 1, 78 Liverpool St, Sydney. Sydney. NSW, 2000. Westfield, Level 3, Cnr Pitt & Market St, Sydney. Sydney. NSW, 2000. Nsw Masonic Club, 169 Castlereagh St, Sydney. Sydney. NSW, 2000. Unit 3, 43 Hutton St, Alexandria. Sydney. NSW, 2015. Studio 201, 30-40 Harcourt Pde, Rosebery. Sydney. NSW, 2018. 409 Bourke St, Surry Hills. Sydney. NSW, 2010. Suite 121, 243, St, Pyrmont. Sydney. NSW, 2009. Suite 3C, 14 Glen Street, Sydney. Sydney. NSW, 2122. 374 Sussex Street St, Sydney. Sydney. NSW, 2000.